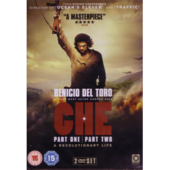 Writing from the perspective of a native of Buenos Aires, Toledo offers a perspective which is crucial when understanding Che. An insightful read, written in an accessible chronological format, making it an excellent reference book about Che's life, whilst also an ideal book for pleasure. Filled with intimate accounts of his childhood and family relations. 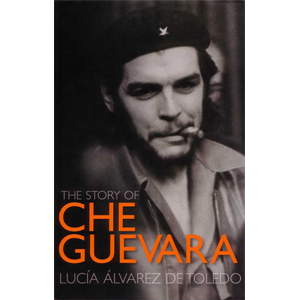 Lucía Álvarez De Toledo’s ‘The Story of Che Guevara’ goes beyond the dominant narrative of Che’s well documented life. Crucially, it is an insider’s book; De Toledo grew up only a few blocks from Che’s family home, watched him play rugby as a youngster and knows several of the same people that he grew up with. Writing from the perspective of a Latin American, an Argentinean and a native of Buenos Aires, she offers a perspective which is crucial when understanding Che. Argentine Spanish is full of colloquialisms, linguistic nuances and cultural contexts which De Toledo can re-present, a feat perhaps not adequately achieved previously. She notes the Argentinean significance of Che’s famous black beret, with its origins from the Basque immigrants who arrived from Spain - the region where we also learn the name Guevara originates from. It is an insightful read, written in an accessible chronological format, making it an excellent reference book about Che’s life, whilst also an ideal book for pleasure. It is filled with intimate accounts of his childhood and family relations. In his younger years, Che was shy, a bad dancer and a poor singer, but girls always enjoyed his company. Sharing the name Ernesto with his father, he was called nicknamed ‘Ernestito’ as a child. Many years later, when his parents arrived in Havana after the triumph of the Cuban revolution, Camilo Cienfuegos “could not control himself and collapsed into fits of laughter when Ernesto’s parents introduced him as ‘Ernestito’.